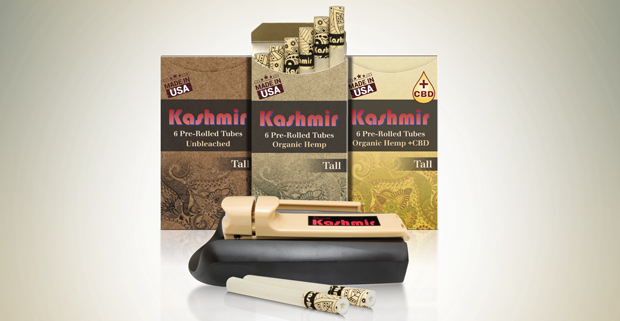 Kashmir Tubes mark the evolution of pre-rolled tubes - from cones and paper tips - to a more consistent, comfortable and satisfying smoke. Kashmir Classic and Tall Tubes combine the highest quality Kashmir Papers and a patent-pending filter design that eliminates paper taste and soggy ends. Each handy, 6-tube pack is available in Organic Hemp, Unbleached & +CBD paper varieties.